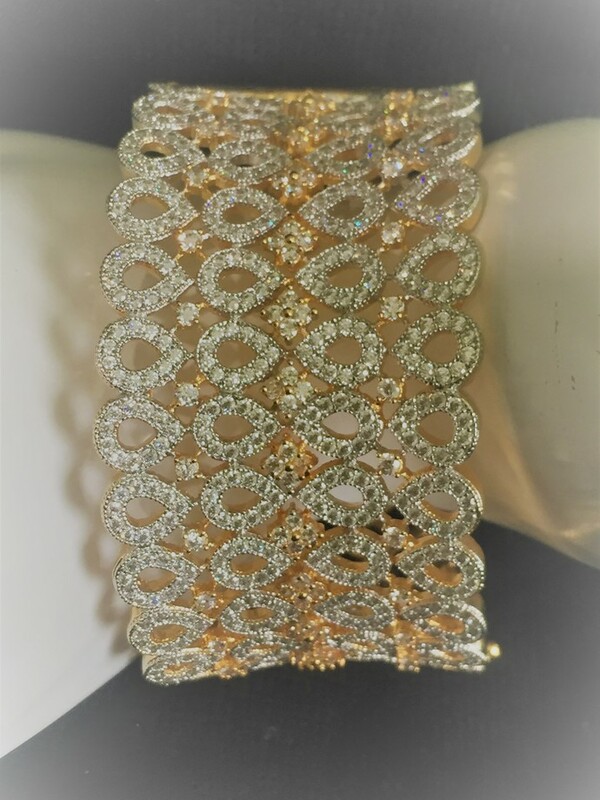 This is a wide cuff bracelet. It has a catch and will fit up to a size 8ins wrist. The stones are crystal clear cubic zirconia. A very beautifully designed bracelet.